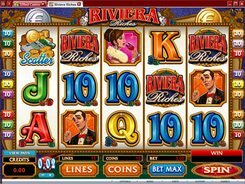 This slot is inspired by the same-name British TV show where contestants win cash prizes. 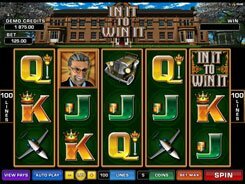 In It To Win It is playable on five reels and 100 fixed lines, with its top bet reaching a stunning $250 per spin. The symbols set incorporates items of luxury associated with a lavish lifestyle: a Bentley car, a golden money clip, a private jet, and a billionaire; all accompanied by standard playing cards. The top jackpot that may be yours reaches a massive 25,000 coins. 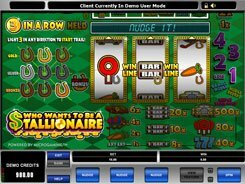 The slot features a scatter depicted by the Billionaire symbol. Get 3+ of them landed anywhere, and you will be presented with four briefcases. 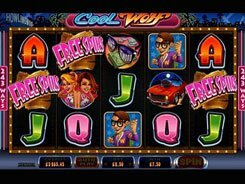 Take a pick and be awarded up to 25 free spins. 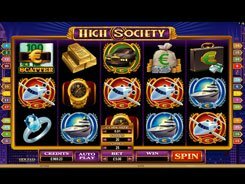 Besides, one of the four money-themed symbols will act as a wild for the duration of the free spins round. Surprisingly, In It To Win It has no wild symbols in a normal game, yet this is not a drawback, considering fairly decent payouts for regular symbol combinations. 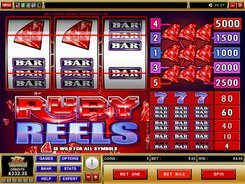 Though not rich in special features, the slot is very entertaining and fun to play.